Dermaclara Complete Reviews: Is It Really Good For Your Skin? What Are The Ingredients In Dermaclara Complete? How To Apply Dermaclara Complete? Deliver youth restoring peptides that enhance skin cell coordination which, in turn, improves the effectiveness and efficiency of repair and regeneration related mechanisms to reveal your younger skin sooner. Restore the optimal moisture content of your skin to relieve it from chronic dehydration over longer periods of time. Lighten dark spots, promote a better toned skin, and brighten your overall skin tone but may cause itching on skin. Heal damages in your skin’s matrix, including stretch marks and signs of skin aging, leaving your skin softer, smoother and firmer. This product’s official website indicates that the manufacturer is based in San Diego, California. Peptides: Improve cell to cell communication which significantly cuts down on the time it takes for your skin to heal, and become rejuvenated. Hyaluronic Acid: Captures the moisture from the surroundings, storing these onto your skin which, in turn, plumps it up and makes it appear denser, firmer and dewier. However sometimes it causes bruising, redness, and itching on skin. Botanical Ingredients: Flood your skin with antioxidants that keeps it protected from further damage caused by free radicals and other environmental and oxidative stress, many of which also have natural anti-inflammatory properties that help heal and relieve your skin from irritations. Dermaclara must be used as part of your daily morning and evening skin care routines. 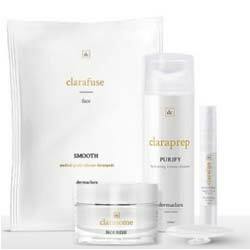 For best results, the manufacturer advises to layer this product on top of Clarafuse. The company behind this product guarantees high security standards of online transactions, giving you peace of mind when shopping for any product from this manufacturer. Dermaclara complete reviews highlight the wide application of this product on a variety of skin problems that include restoring aging skin health and appearance, but also stretch marks. This product can lighten dark spots, promote a better toned skin but may cause redness or itching on skin. Most of the beneficial ingredients in the formula come after phenoxyethanol, a neurotoxic preservative allowed only in concentrations lower than per cent, which means that these ingredients are present in this product in very low concentrations that are likely not sufficiently potent to facilitate any significant improvements to your aging skin. This product contains potentially irritating ingredients, such as butylene glycol and fragrances which, with long term exposure, can lead to permanent damages on your skin. Dermaclara complete reviews are extremely limited which may not make user experiences not good references when you are trying to assess whether or not this product will benefit your mature skin. Dermaclara is a product that instantly appears exciting but that, with closer examination, shows it isn’t any different from your cheaper, and some even better, drugstore brand formulations. Know what you are looking for and you will find it for sure. This product offers 60 days money back guarantee. As we age the composition, texture and appearance of our skin changes. Signs of skin aging include wrinkles, fine lines, loss of moisture, uneven tone, and dull, tired-looking skin. There are countless anti-wrinkle creams on the market promising to make skin look and feel younger. Many anti-wrinkle creams promise everything short of a facelift or to provide the much sought after "fountain of youth". In reality most are just moisturizers marketed as anti-aging products. 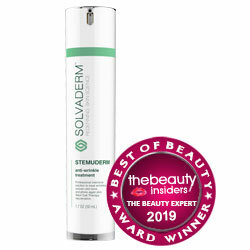 Below you’ll find some of the most effective wrinkle serum/cream formulations on the market today, in our opinion. It’s Really Good Anti-Aging Cream. Dermaclara serum is a really good anti-aging cream as it not only gives a youthful appearance but also has other benefits like renewing tired skin, restoring moisture content and lots of other positive effects for aging skin.